“Guru Padmasambhava is not hindered by time and space. He is absolutely free. He can be anywhere at any moment and appear in any form. He teaches in whatever way is most appropriate and necessary for individuals. According to the needs of beings, his teachings can be applied immediately or hidden for a later time. Guru Padmasambhava will appear whenever you supplicate him, and is particularly active when the sun rises and sets. On the tenth day of the waxing moon, as well as on the tenth day of the waning moon, he is actually physically present, granting blessings and accomplishment to all beings. 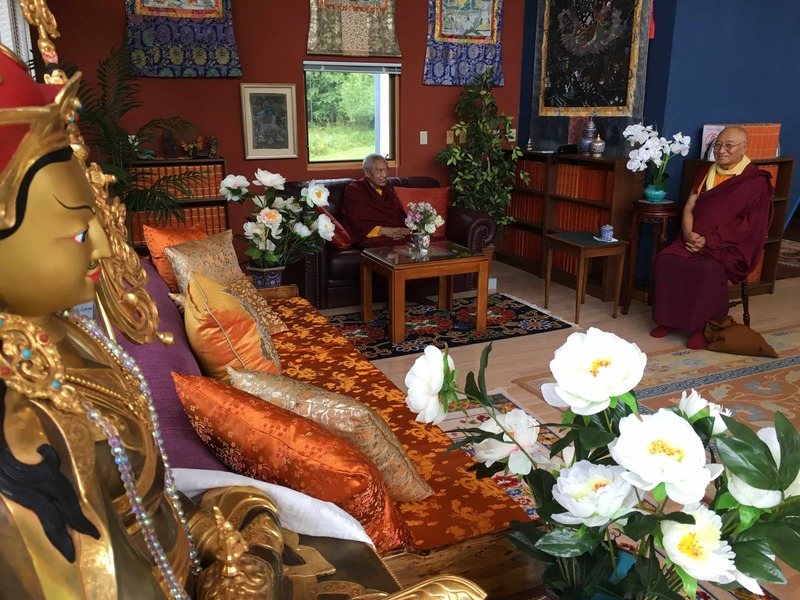 Photo of HE Terton Namkha Drimed Rinpoche with Ven. Khenpo Tsewang Dongyal Rinpoche at Padma Samye Ling in 2016.